A documentary about the last days of the Sri Lankan civil war, the eradication of the LTTE and the brutal massacre of thousands of Tamil civilians. Our investigations suggest that the military operations were driven by a hidden political agenda and substantial economic and corporate interests. Follow the story to know more. In 2009 the Sri Lankan army crushed the Tamil insurgents, the LTTE. More than 360000 Tamil civilians were trapped in the fighting theatre. The Sri Lankan government established a “No Fire Zone” to protect the civilians. According to the UN Panel report, more than 40000 civilians died. Less conservative figures put the toll at 80000. 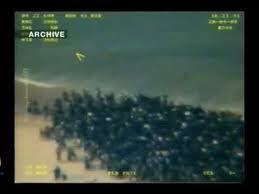 This footage was taken from the No Fire Zone on 10th of May 2009. The government of Sri Lanka claimed that it pursued a “Zero civilian casualties” policy; in an interview with NDTV, Sri Lanka’s President Rajapaksa stated that no more than 100 civilians died. Any possible debate about Sri Lanka can start only after the vision of these images. They are crude, but they are testimony of what happened. With the purchase of Cairn India, Mr Agarwal, boss of the mining powerhouse Vedanta resources, officially challenged the dominance of Reliance Industry, the Ambani’s giant in petrochemicals and refining. Vedanta and Reliance were undisputed kings in their respective sectors: complementary and parallel. Both can count on mighty political clout and this feud showed their potential: in defence of Ambani’s Reliance went in Mr Sharma, chairman of the state-owned ONGC and Petroleum Secretary Mr Sundareshan. On the camp of Agarwal’s Vedanta, nobody less than UK’s Prime Minister David Cameron. Mr Cameron pubblicly lobbied in favour of Vedanta with Mr Singh. The bone of contention is simple: oil. In Sri Lanka. Offshore of the Mannar Basin lie reserves up to a billion barrels. Reliance Industry was drilling on the Indian side of the Strait, but when the government of Sri Lanka offered the exploration rights in 2007, they Ambani’s group declined. Why? Well there are always a lot of risks associated with oil extraction, first of all, there is no guarantee of discovery, second it could be not commercially viable to extract it. But the Mannar Basin case was even riskier: it was the theatre of a civil war. The area was under the control of the LTTE, one the fiercest guerrilla army in the world. Surely if you buy, you want some guarantees that your will be able to access your property. The LTTE navy, the Sea Tigers, guaranteed the security of sea lane supply for more than 30 years. Now the company that was awarded the concession was Cairn, a small venture based in Edinburgh (with the bulk of their interests in India). What was the level of political leverage that Cairn could exercise to demand for assurance? Null. The management of Cairn, we are supposed to believe, bought the exploration rights with no further collateral for their purchase, no political promise that their property will be their hand soon. But in 2011 Vedanta saved the “Scottish” company with their offer. The operation was hardly contested by the Indian government; as we have seen, the move was an aggressive entrance in the landscape of Reliance and Ambani’s clan didn’t particularly welcome the new comer. If you are familiar with the Indian capitalism, you know very well that the big players are running monopolies supported by political protection. Competition is sacrilegious. So why Agarwal decided to challenge so directly Ambani? Rumours go that he was concerned for his venture in Orissa. Vedanta was involved in a billion mining project; they received of course all the authorization from the central government, but a small detail was blocking the operations: 80 million of Adivasis, the Indian Aborigines. The inconvenience was due to be quickly removed with mass evictions; this led the Adivasis to join the Maoist guerrilla, but Vedanta wasn’t worried: in fact the central government declared this insurgency (sometimes the Adivasis attacked with bows and arrows) as the nation’s main security threat: more than the archenemy, atomic-armed Pakistan. Operation Green Hunt was launched to eradicate the Maoist and incidentally, any obstacle to Vedanta manoeuvres. Unfortunately for Vedanta, public and international outcry sprung in favour of Adivasis and suddenly the big deal, despite all the political support, was in peril. The Orissa crisis urged Vedanta to look for alternative business. Quickly. More than 80000 Tamil civilians were killed during the last attacks of the Sri Lankan civil war. One may be tempted to say that it is not the first case of impunity, not even in recent history. True: in Syria for example there are concurrent narratives of propaganda blaming alternatively the government and the rebels. But the novelty in respect of Sri Lanka is the absence of competitive perspectives. It is well known that China protects Sri Lanka; a little less divulged is the Indian protection of Sri Lanka. But the real point is that the West is actually not interested in accusing Sri Lanka. The US made very bland recommendations to Colombo, in comparison what is at stake. The impression is that the Sri Lankan government shall be charged for mishandling the behaviour of its troops. The boys went too far in certain circumstances, but we don’t have the political will to scold our naughty soldiers. 500 000 Tamil civilians were chased out,through shelling and starvation. The accusation is far from this insipid criticism: the government of Sri Lanka launched a heavy military offensive against hundreds of thousands of civilians. Again, it’s better to have clear in mind that we are not speaking of isolated episodes: the plan was to bring war in the middle of Tamil inhabited areas. The operation was designed to bring havoc in every Tamil house. At the peak of the Vanni operation, almost half a million of people has been chased, starved and bombed out. It is less about the casualties and more about the intentions. The carnage of 80000 civilians is still not the most horrible part of the truth. Soldiers massively brainwashed and put under extreme psychological stress, can eventually go crazy and out of control. This is still criminal and to blame. But the Sri Lankan case is worst: the government planned to massacre the civilians. We are not discussing episodes of crossfire: we are accusing the government of Sri Lanka of heavy shelling on harmless population. Repetitively. It was a decision, it was planned. The silence of the United Nations is a crucial accomplice in the massacres. And the United Nations, the government of USA, UK, India, France, Norway and Japan know what happened. The UN actually published a report where it estimates at 40000 the number of civilian casualties. Moreover an internal inquiry from the UN provided even more critical observations about the accomplice negligence. New Delhi provided military intelligence, electronic surveillance and field support on the ground: India was informed in real time. Actually, it was New Delhi that was informing Colombo about the development of action. Now such carnage won’t be sanctioned. Why? Several reasons for the convenience of geopolitical equilibrium. We have some suspicions that the oil discovery in the LTTE controlled area could have been a game changer, especially for India (with Vedanta and Cairn) and European countries, like the UK (again with Cairn and Vedanta, both London-listed), France (with Total); but also Malaysia, with its powerful Tamil presence, was involved through Petronas. The estimated reserves of the Mannar Basin oil field are up to a billion barrels. Aside this allegation, the undisputed outcome is that Sri Lanka will walk away from a planned massacre with total impunity, because it made the right diplomatic move. Namely, it sought agreement with every power involved. With the US, Colombo justified the operation with war on terror (it was actually a civil war). With China, it sold out a port facility (to be included in the String of Pearls). With the other Sri Lanka exchanged attractive economic deals (the exploration rights have been ceded at bargaining price). In fact during the final phase of the war, the duo Kouchner-Miliband improvised a timid protest, but already in 2011 France was pledging support to Sri Lanka (in 2012 Paris collaborated with Sri Lankan secret service in the extra-judiciary killing of an Ex-LTTE member Parithi and in 2013 Total is ready to join the Mannar Basin deal), while UK was deeply compromised with Colombo for arm trade (see the scandal that led to the resignation of Defence minister Liam Fox) and economic interest (Cameron lobbied in favour of Cairn and Vedanta with Indian government). This episode will establish an important precedent in international jurisprudence: heavy diplomacy with all the parties, with all the regional and global powers will give you clearance on everything you do. Everything. It is nice to have legions of commentators, punters, analysts to discuss and to deconstruct the international relations of states. All this convoluted deployment of intellect is a way to entertain the public opinion, which is growing more and more educated and can be fooled easily. Take the Bolivarian revolution of Chavez in Venezuela: roaring speeches on one side, “world public enemy number one” on the other. 70% of Venezuelan oil goes to the US; Chavez has been Swissly through and precise in the repayment of Venezuelan bonds: Goldman Sachs and the other made a fortune with the socialist revolution. In Sri Lanka, the government of Rajapaksa is strenuously resisting the siege of Western powers; Sri Lanka stands the assault of foreign interference in national sovereignty. But the substance of the critics is: where are the 80 000 civilians missing. Of course nobody mentions this; the confrontation in the diplomatic sphere is about government-sponsored recommendations that the government doesn’t implement. President Rajapaksa is using the international stage to re-affirm the right to develop: de-colonized nations to choose their own destiny. Standing ovation. Cairn India Chairman Sundeep Bhandari and Executive Director/CFO Indrajit Banerjee presents the documents to President Mahinda Rajapaksa. Prime Minister Ratnasiri Wickramanayake and Petroleum Resource Minister A. H. M. Fowzie are also in the picture. In private he sold at bargain prices concession for oil exploration. Cairn-Vedanta will pocket 90% of the sales from the Sri Lankan oil. Now, if you are a colonial power, will you prefer to have a hard confrontation on the matters that count, like oil or empty speeches about principles and human rights? Rajapaksa is working hard for colonial powers and the colonial powers are benefitting with sound, material profits. In public they accuse each other, reinforcing the perception of a clash: European citizens are satisfied of fighting (diplomatically) the right cause and unknowingly (?) pocketing the money; Sri Lankan citizens are happy of maintaining their independence and unknowingly (!) to be stolen once again by the Europeans. When the two parties are extremely happy of the contract, either the deal is very good or it is a scam. Tamil civilian victims in Mullivaikal, 2009 Sri Lanka. In Geneva the UNHRC discussed a very funny joke: the Sri Lankan government doesn’t want to listen to its own recommendations. Of course the tragedy of the Tamil people is not about that. The UN ( even the UN!) realized that something of heinous magnitude happened in Sri Lanka. In their report, it is alleged that 40 000 civilians died. And these are the conservative figures of the UN. The government agent for Mullaitivu Imelda Sukumar testified for the LLRC that the population under her control in January 2009 was 360 000. When the Tamil civilians started to reach the Sri Lankan army after the defeat of the LTTE in May, the official figures were 280 000. Even a UN official can realize that there are 80 000 missing. If you visit and talk to the survivors, they will tell you of a carnage. The Sri Lankan government chased like wild beast almost half of a million of Tamil civilians. The Sri Lankan government exploded the full blast of its fire power against those civilians, starving them of food and medicine. This to me is something we should discuss in Geneva. When in May 2009 the Tamils in the Nandikadal Lagoon and opened fire, what they were expecting? It is a fact that in that area there were more than 300 000, so many come out. When you are bombing with heavy shelling a strip of beach with that multitude of children, elderly and women, the casualties cannot be but enormous. The Western countries have no interest in dealing with this serious subject because they have a biggest concern in other issues. India needs to exercise its sphere of influence on Sri Lanka, including the economic exploitation of its position and side. The oil exploration in the Mannar Basin is benefitting Indian companies, which are listed in London, so the UK is mild against real pressure on Colombo. Besides, London sells weapon to Sri Lanka and has no intention of losing a client. Similarly France is just entering the oil scene in Sri Lanka and had already paid its fee (allowing the murder in Paris of LTTE leader Parithi). But also the Tamil leadership has some responsibility: they keep on hanging accountability and justice to the causes of Eelam. They don’t really ask for justice, unless is coming with independence. And of course nobody at present has the minimal intention to give them a new state. So it is really nobody’s intention to discuss what really happened in Sri Lanka. Let’s talk instead of LLRC and its implementation; this is really a topic, which will bring no harm to anybody. You have a case of genocide and in Geneva your discussion is about LLRC. Sad.